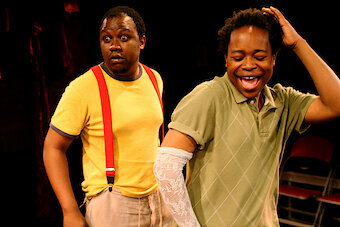 Shakespeare meets Africa in this performance of “Two Gentlemen of Verona“, brought to us by two gentlemen of Zimbabwe. 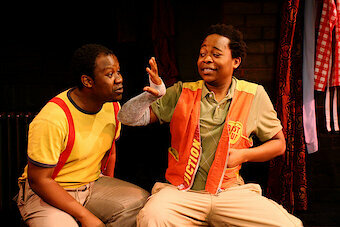 Denton Chikur and Tonderai Munyevu play all the 15 parts in the play (and, no doubt, also that of the dog) in the style of the strikingly energetic tradition of South African township theatre. 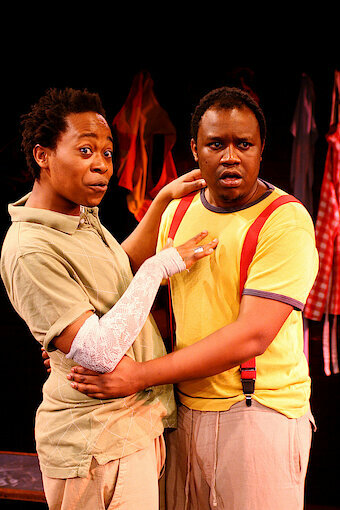 The play turns on the central themes of the friendship of Valentin and Proteus, their love for the same woman, betrayal, treachery and reconciliation. The German director, Arne Pohlmeier, lived in Africa for many years. 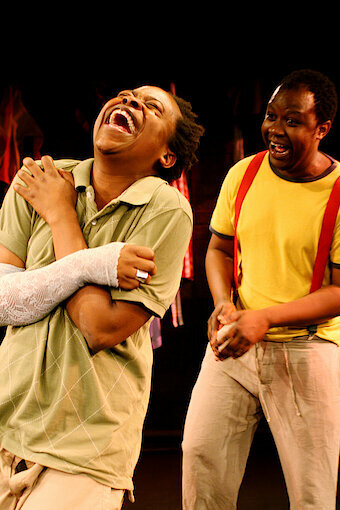 With his portrayal of Valentin's banishment from Verona, he draws a poignant parallel to the fate of exiled Zimbabweans, their journey to a far-off England, and their loss of homeland and culture. 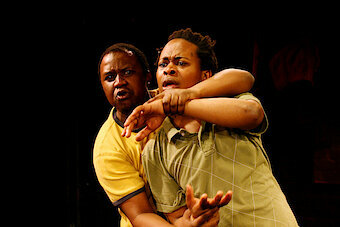 A moving performance by two stunningly versatile actors.